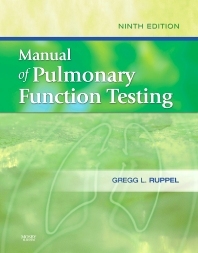 The perfect text, on-the-job reference and certification exam review, MANUAL OF PULMONARY FUNCTION TESTING, 9th Edition includes a wealth of information on pulmonary function tests, techniques, pathophysiology, equipment, computers, and quality assurance to help you get the best results every time. Detailed information on the pulmonary function tests used to determine the presence, extent, and progression of lung disease and abnormality helps you reveal conditions including asthma, chronic bronchitis, emphysema, and cystic fibrosis. This new edition includes even more opportunities to apply your knowledge with additional Case Studies and Self-Assessment Questions. A "how to" approach to testing explains procedures step-by-step and provides a valuable on-the-job reference. UNIQUE! Objectives for both Entry and Advanced Levels following the content guidelines suggested by National Board for Respiratory Care provide a useful study tool for the CPFT and RPFT examinations. UNIQUE! PF Tips boxes highlight content from the text to help you remember essential information. UNIQUE! Clinical Practice Tips provide helpful guidance for applying the concepts and procedures from each chapter. 7. Cardiopulmonary Exercise Testing – EXPANDED! 9. Specialized Test Regimens – EXPANDED! 10. Pulmonary Function Testing Equipment – EXPANDED!